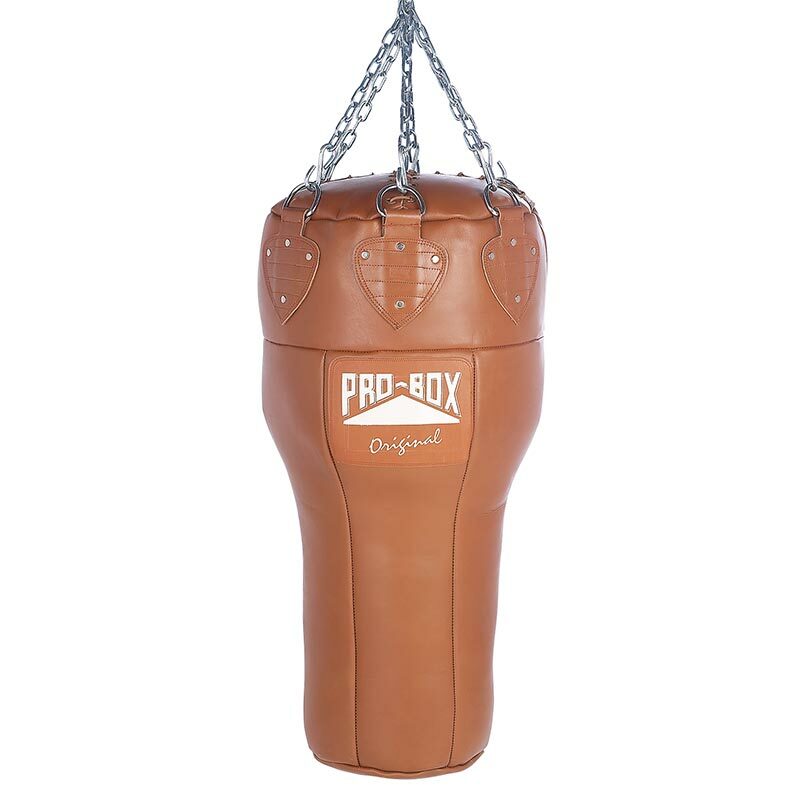 The Pro Box Leather Uppercut Punch Bag Original Collection is a tough, professional soft leather uppercut bag, to give variety to your punching combinations. Size: 20" diameter x 42" high. (Requires 6 leg Hanging Chain, sold separately).